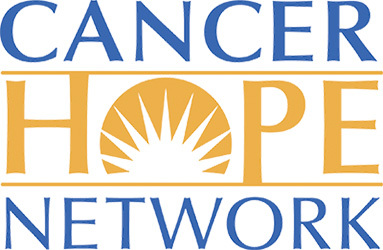 Cancer Hope Network (CHN) is a national non-profit that provides free one-on-one emotional support for adult cancer patients, their caregivers, and family members. The CHN Patient Services team matches patients or their caregivers with a Support Volunteer whose experience closely mirrors their own—from cancer diagnosis and stage to specific treatments or side effects. Each of CHN’s 400 Support Volunteers is at least 1 year post-treatment. They are trained to lend a listening ear—sharing their own experiences, providing hope, and inspiring courage for patients and their caregivers. Support Volunteers do not endorse or recommend treatments, facilities, or physicians. They provide emotional support, practical information, helpful hints, and methods for coping with a patient’s diagnosis and treatment. Through its internal and external resources, CHN also shares the experiences of cancer survivors, dispelling fears, myths, and uncertainty, and replacing those with a much better feeling—the feeling of hope after diagnosis. CHN serves cancer patients in the United States and Canada. There is never any charge for their services. For more information, or to be matched with a volunteer survivor, visit www.cancerhopenetwork.org or call (800) 552-4366.